Hoopers was introduced to this country in 2017 and is now one of the fastest growing canine sports activities. 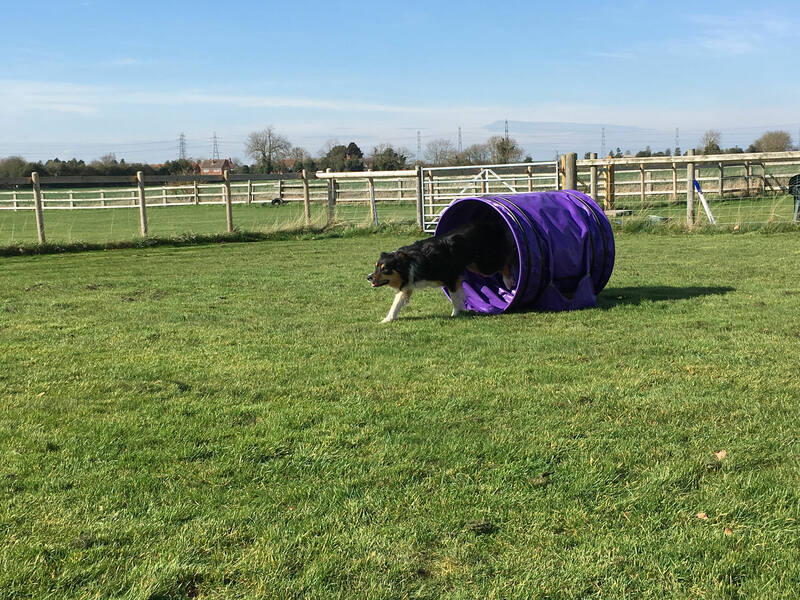 Dogs negotiate a very smooth and flowing course of hoops, barrels, short, straight, large diameter tunnels and a touch and go mat. There are no sharp turns and of course no jumping is involved. 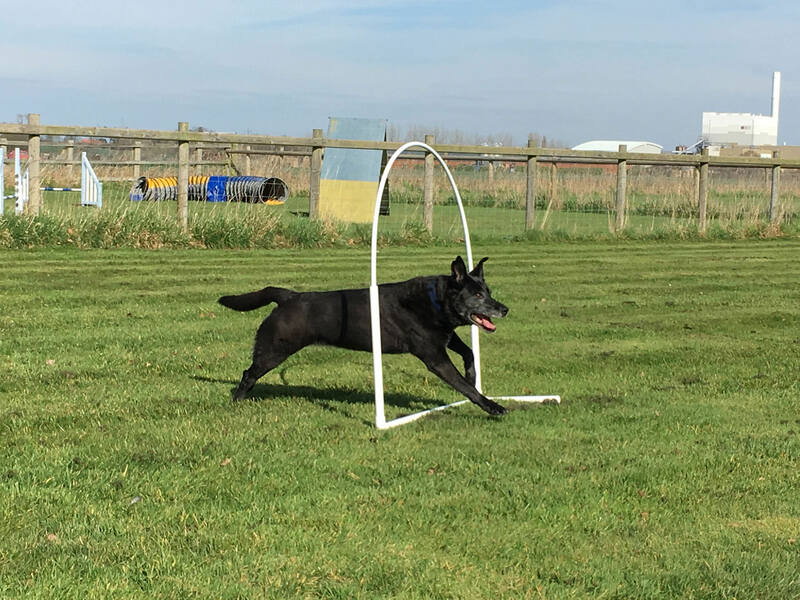 This makes it ideal for any type of dog from Dachshunds to large German Shepherds, and retired agility dogs can continue to relish doing an active game without wear and tear on older joints. 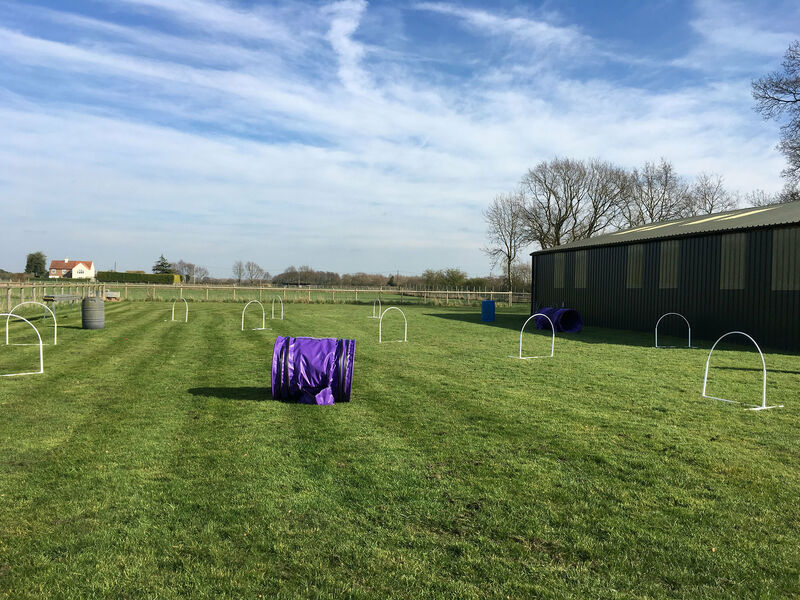 For less mobile handlers it is also a great choice as the challenges of the higher levels involve distance handling, not having to imitate Usain Bolt! 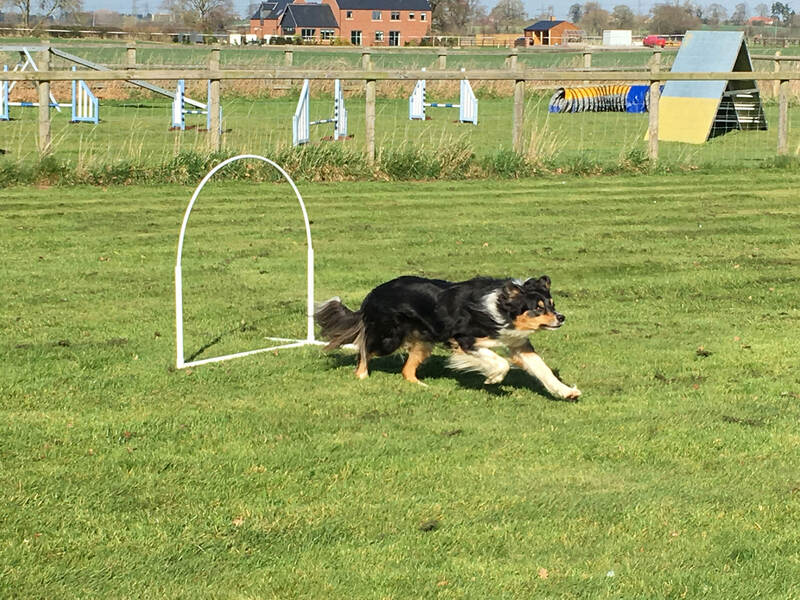 Agility remains a fantastic sport for many dogs, but it requires the learning of numerous handling manoeuvres, weaving and contacts, and is physically demanding. Hoopers still requires learning some handling techniques and verbal cues, but it is designed to be active and fun without the same degree of stress on canine bodies. My nearly 14 year old girl Mattie, who retired from agility a while ago, has relished playing this new game and thinks she is the bee’s knees again! We are putting a taster session on for our existing clients on Sunday 19th May – see below. If you have not worked with us recently or are a new client, we will arrange a private Introductory session and then tie you into a class or continue with one to one training. Private lessons are £20 per hour. All dogs must be able to work off lead in an active group situation without stress or reactivity. 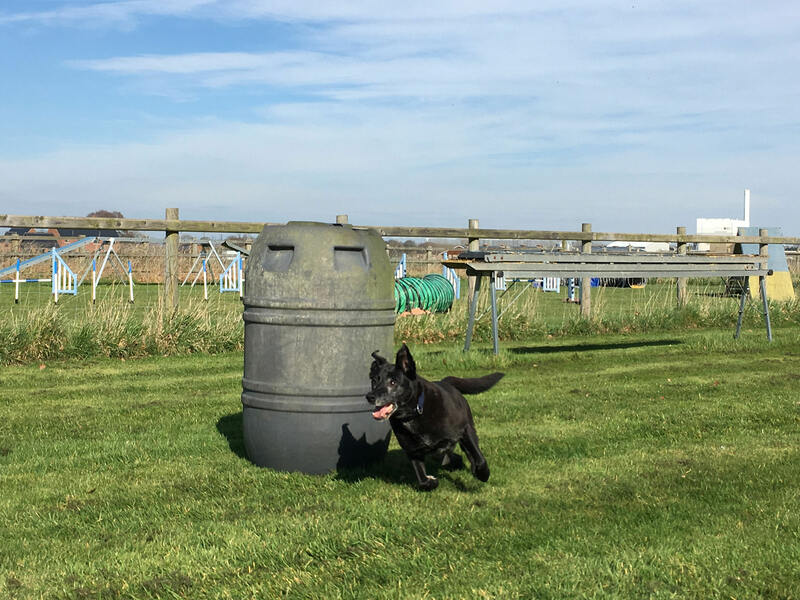 As a Behaviour Specialist I love working with dogs who are not relaxed in canine company, but these special dogs need to train individually whilst working through their reactivity issues. Please contact Wendy who will arrange an initial assessment/ Intro to Hoopers session. One to one training is £20 per hour. Intro to Hoopers /Assesment sessions are £23 and include written details of the games and exercises covered. Classes are £9 per dog with just 4 dogs per hour. All dogs must be comfortable working off lead around other dogs and people. All dogs enrolling onto group classes must have the social skills to work around others without stress, aggression or barking so that the training environment is relaxed and safe for all dogs and handlers.